Bill Ackman was talking to one of his friends at the Delivering Alpha Conference and Jim Cramer said “good luck” to him while he was passing by. Ackman’s friend asked whether that was Cramer. Ackman said “yeah, we went to camp with him a year or two ago. He is an amazing frisbee thrower. Talented guy!”. 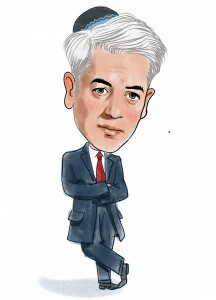 We haven’t heard anything about Ackman’s Procter & Gamble (NYSE:PG) investment yet. He is scheduled to start at 5 pm. By the way Bill Ackman was wearing a name tag. Who doesn’t know him?